Last year Heather, from Heather Lynn Photography, and I started brainstorming on hosting a bridal expo. We have both always felt that our town could gain a lot from creating an event to showcase all of the amazing wedding vendors we have in the area. So, we did, and it went better than we could have ever imagined! There were 22 amazing vendors and over 100 attendees! This year we are shooting for an even bigger turnout! This post is a highlight of last years event, you can find all of the vendor information from 2018’s expo at the end of this post. If you are a wedding vendor and are interested in being a part of it all this year, send us an email for more info! Being in the wedding industry, we see it all! 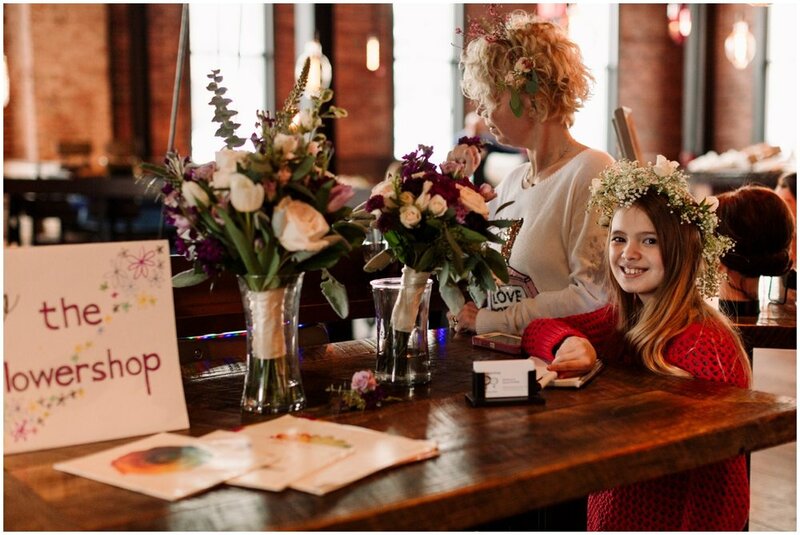 We get to witness how important it is to hire reliable vendors for your big day and how things can quickly go wrong when you don’t..
That is why we are SO pumped to host the event again this year! We hope to help couples find exactly what they are looking for while planning their wedding. The main focus on this years event is to inform! We want to help educate people on the best practices to make your wedding day a success. This year the event will be at the beautiful Rozsa Center on March 16, 2019! Sign up to attend below! Buy Tickets for the 2019 Keweenaw Bridal Expo Here! Honey & Heart Event Co. Extremely excited for this years expo and I hope to see you there!